Yes folks….I’m back……. I apologise for my temporary disappearance, but I had some things going on, that prevented me from having the time to sit down and write. However, hopefully I can now keep the blog updated from now on. 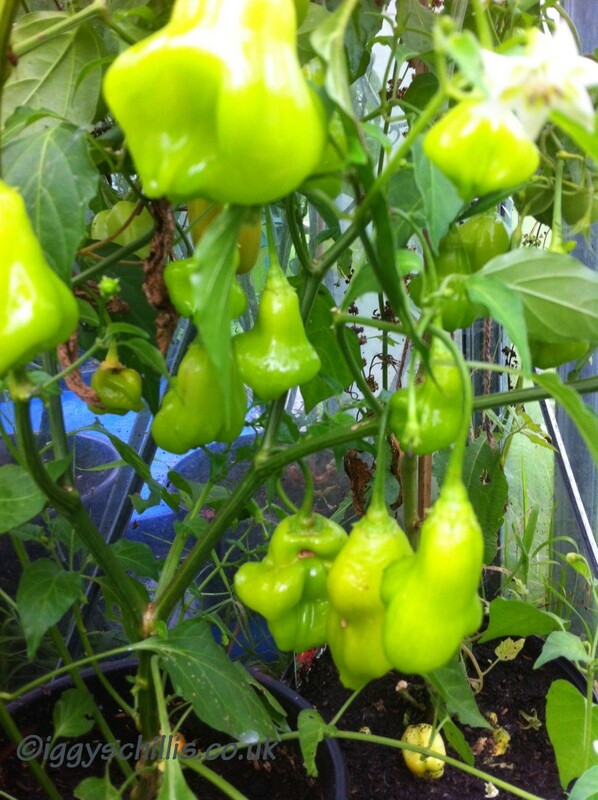 So….just a quick update………Last season was an excellent one for me….all my plants stayed healthy, and produced loads of pods. Regular readers may remember, that I decided to use Tomorite only for feeding last year, and I have to say, I was very pleased with the results. Now I don’t believe for one moment it was this alone, as the weather was very kind and I didn’t have many slugs & bugs to fight against. 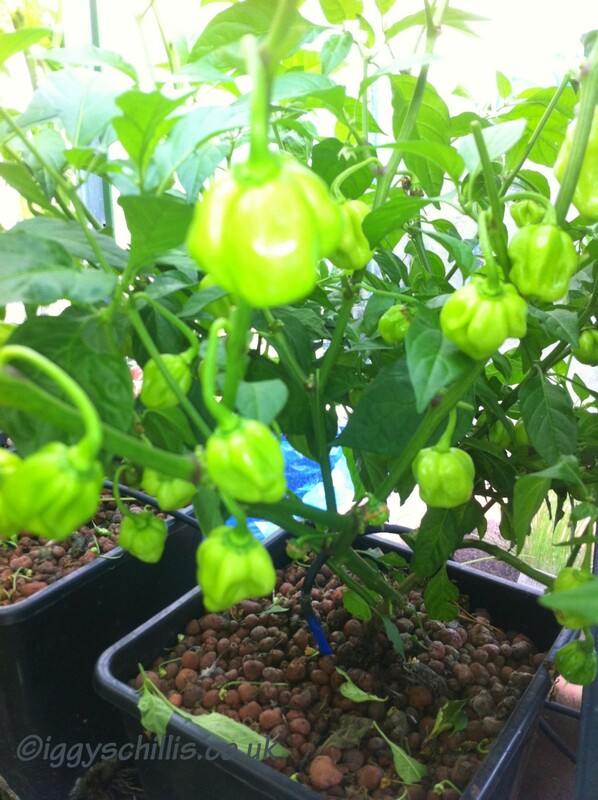 But I do know, that by using Tomorite I raised loads of healthy plants…and saved a small fortune !!! 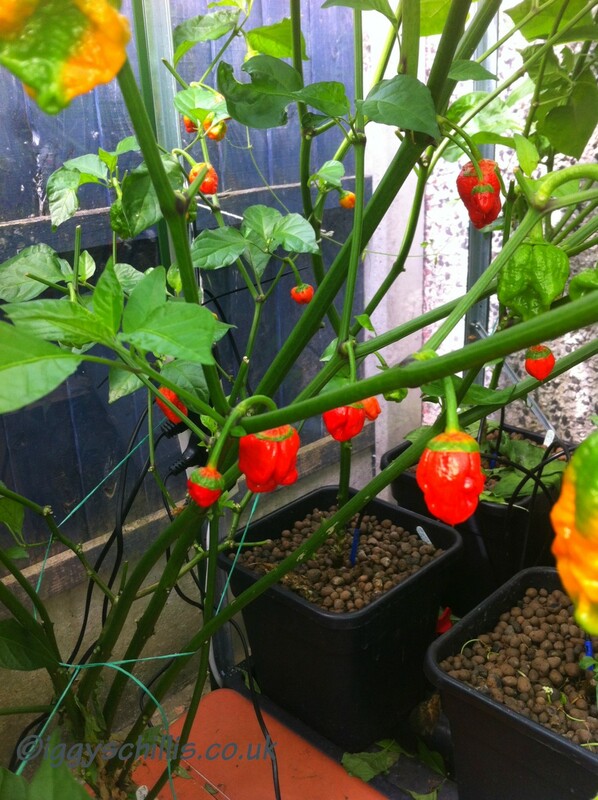 I think one of the best choices I made, was to convert one of my Quadgrow’s into a Wilma system…..the plants really took off once it was set up, and produced loads more pods than the one’s in the other Quadgrows. 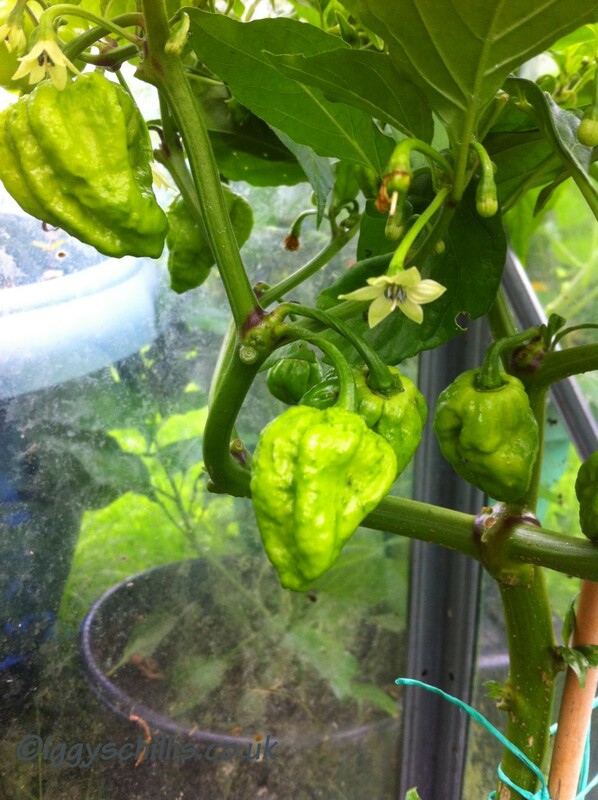 The upshot of last season, is that I got to eat loads of fresh hotties, and had around 10 kilo of frozen, plus 3 containers of dried pods….along with plenty of powder & flakes, to keep me going. 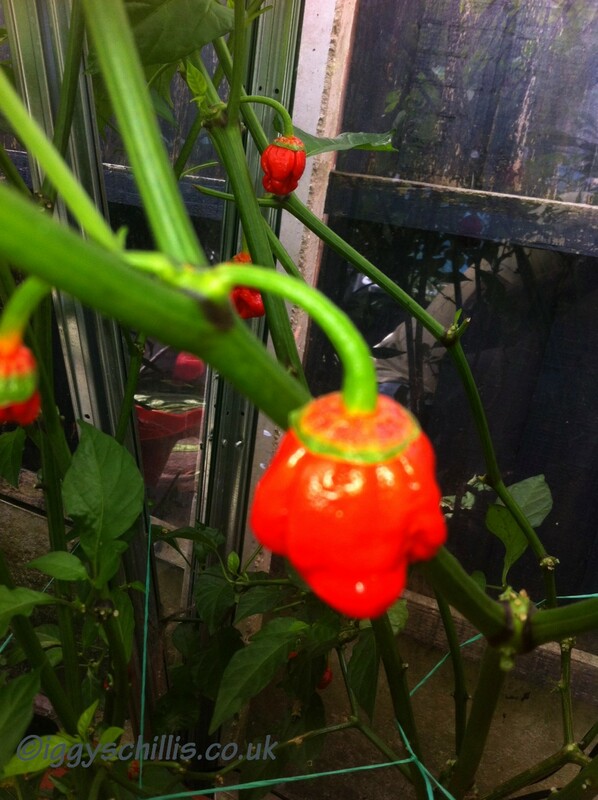 I would say the top 3 producers last season were, Fatalli….Morouga…..and the Carolina Reaper, which started a bit slow, but was soon turning out heaps of pods. So…. on to this season, and again I’m mostly using Tomorite, along with Greenhouse Sensations Nutrigrow in the Hydro equipment. The first thing I’ve decided from this season, is that I’m going to be changing my sowing date. I’ve sown my new seeds on Halloween Night for years, and then grown the young plants on under lights. However, I lost a couple of trays of seedlings, due to overcrowding in the light boxes. To be honest, the plants from the second sowing, around New years Day, soon caught up, and even overtook the earlier sown plants, producing healthier, stronger plants. So I’ll be sowing my main crop later for next season too. Anyway….. apart that little hiccup, this year has gone really well. I moved all the plants out into the greenhouses around April, and gave a load away, as I had too many. 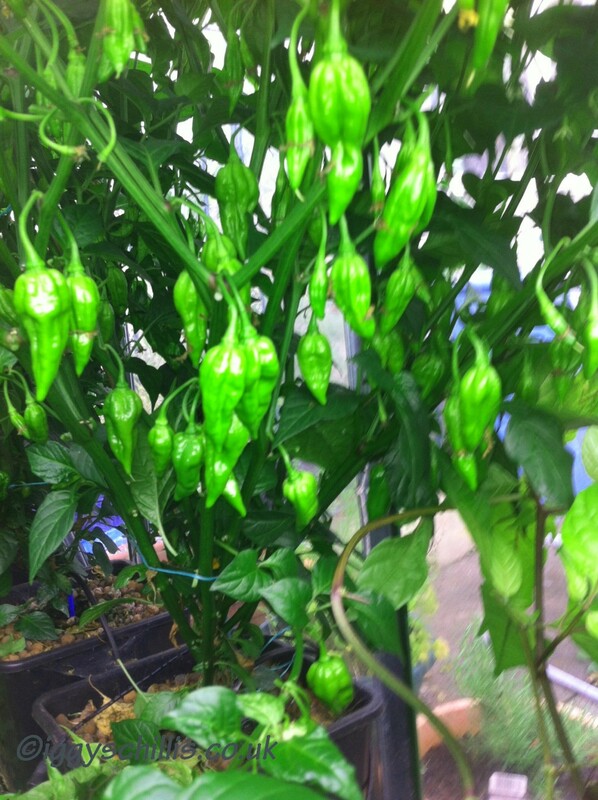 What I kept have all produced pods, which is the whole idea of growing chilli plants !!! 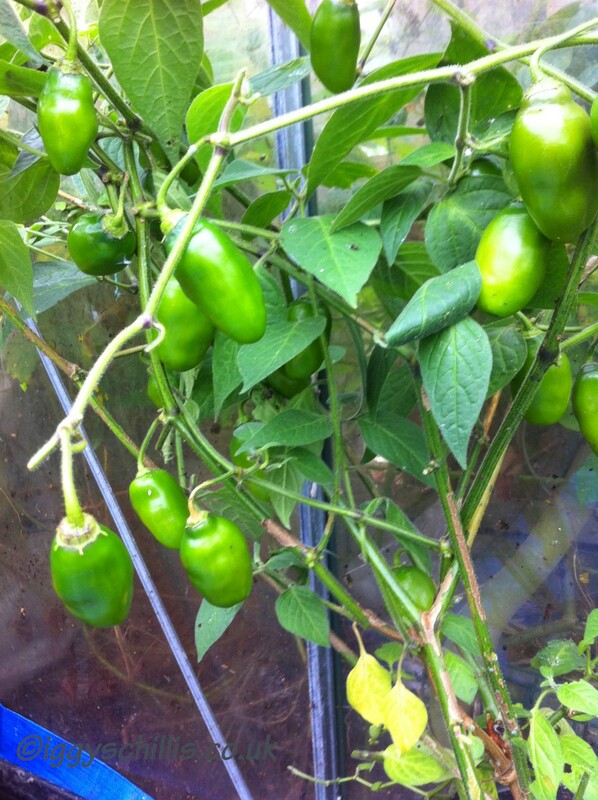 The feeding has been once a week with Tomorite for the plants in compost, and again I can’t fault the results. One thing I tried this year, was growing some of the wild varieties, as I’ve never grown them before, and I’ve decided they’re not for me. 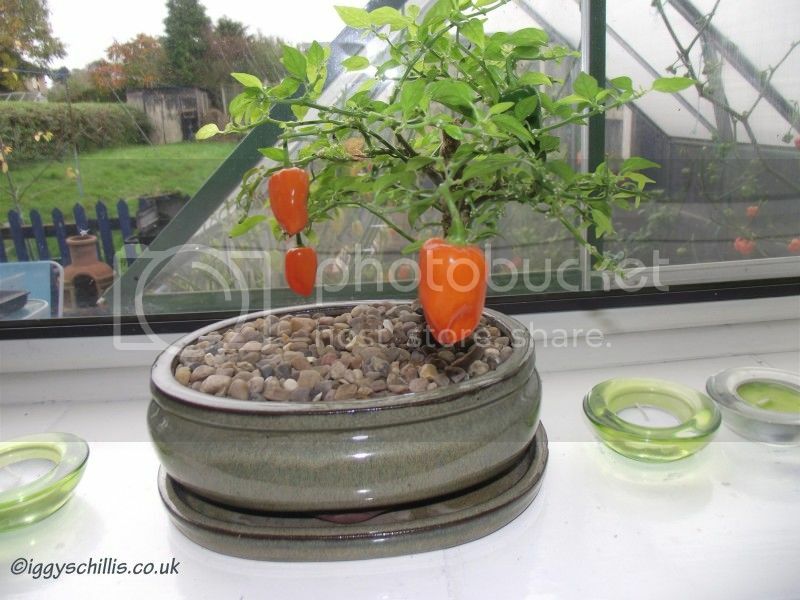 I know some chilli growers love growing wilds, but I found they took up a lot of room for something that I’m not going to eat/use regular. So those plants have been moved outside, and are going really well. All the plants are having a regular trim, removing bigger, lower or damaged leaves. 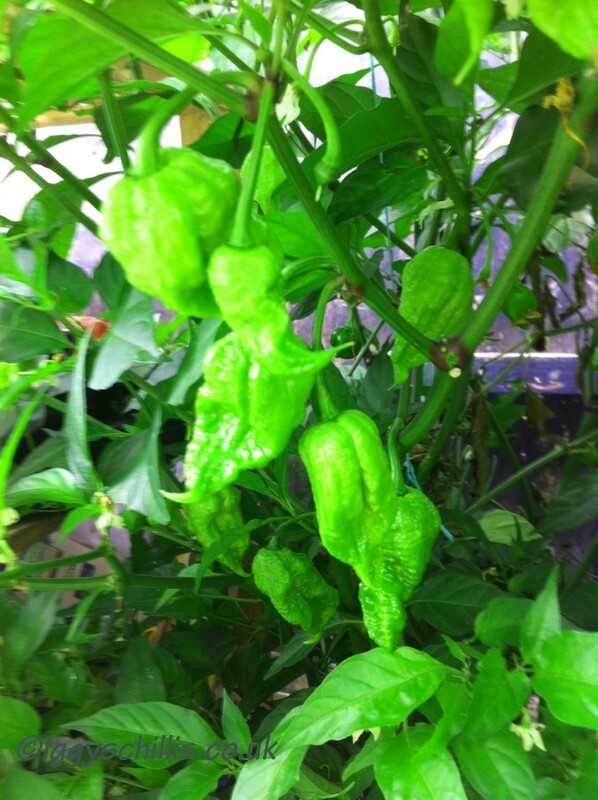 This aids airflow through the plants, and lets the plant put more energy into podding. Unfortunately, I haven’t been able to get to any shows/festivals this year, but I’m really looking forward to meeting up with the CGUK guys at Upton Cheyney Chilli & Cider Festival at the end of August !! Well………that’s enough from me for now, I’ll try and be more specific in the next article. In the meantime, if you have any questions or comments….just let me know……Here are a few pics too.